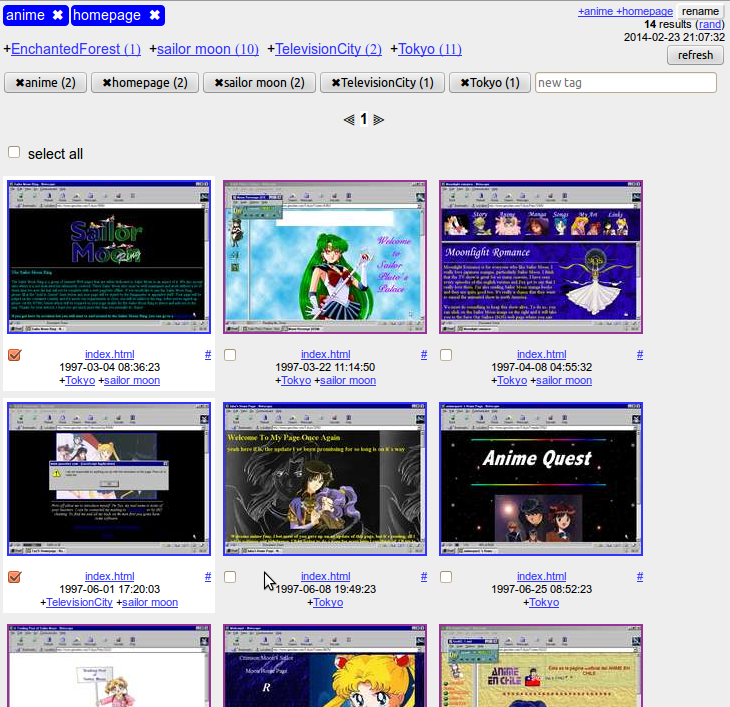 For a cultural researcher, the amount of material contained in the ArchiveTeam’s Geocities copy is simply overwhelming. The tumblr blog One Terabyte Of Kilobyte Age Photo Op presents one way to make it all accessible, by transforming it into an exciting soap opera of screen shots. Tagging is a good way to work with experimental or explorational ontologies, since a hierarchy can be built ad-hoc. 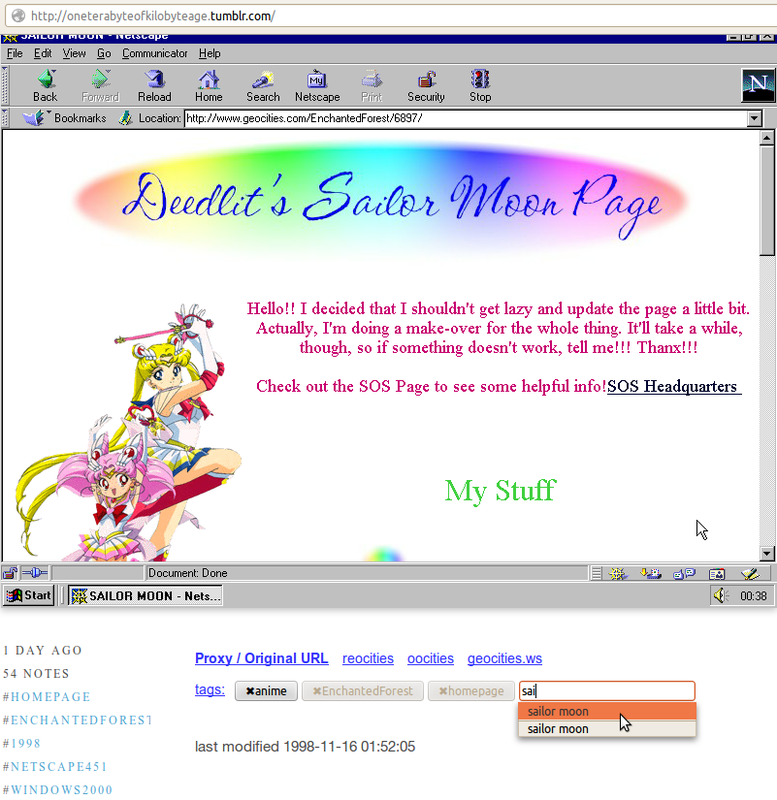 Different views on the same material can exist at the same time — a prerequisite for giving meaning to a collection as large as Geocities. Tags are useful before a complete collection of items is fully known and can be created independently by different researchers, without too much prior agreement on a vocabulary. In conclusion, each new opportunity and context to enter meta information has the potential to be valuable. Meta information does not have to be definite or objective to help structuring items, as long as the system applying it performs reasonably fast and allows quick combinations.